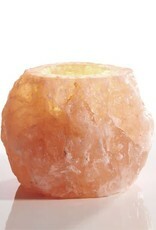 The Earth Luxe Himalayan Crystal Salt Tealight Candle Holder offers a holistic approach to home air purification. Natural salt formations are mined from the Himalayans. 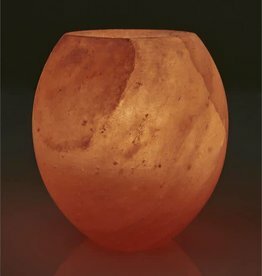 The formation is hand-chiseled to form the natural shaped candle holder with a small cavity in the center to hold a tealight candle. 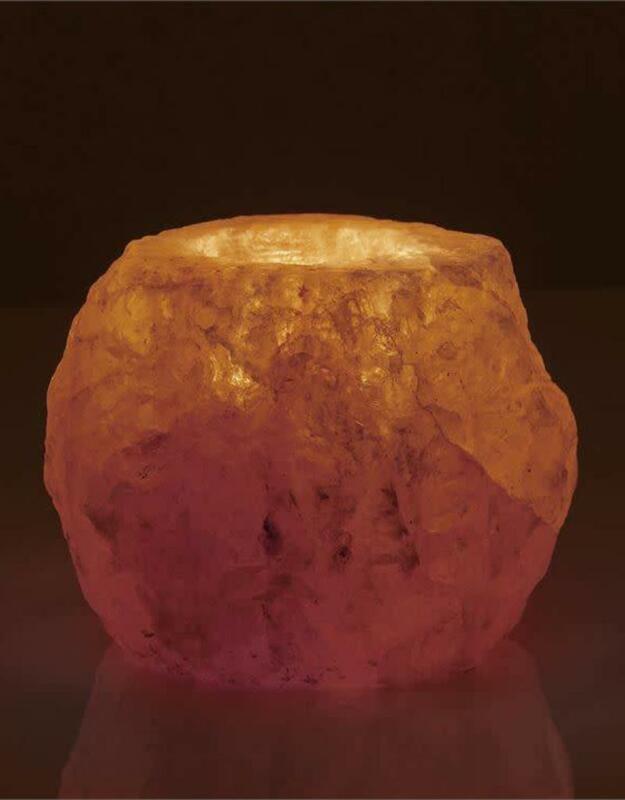 When a tealight is lit, the salt radiates a soft pinkish orange glow while the heat of the candle warms the salt which then attracts water vapors in the air. 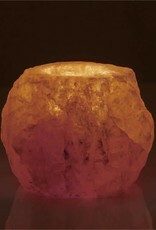 These vapors hold allergens and toxins which attach themselves to the salt lamp leaving the atmosphere clean. 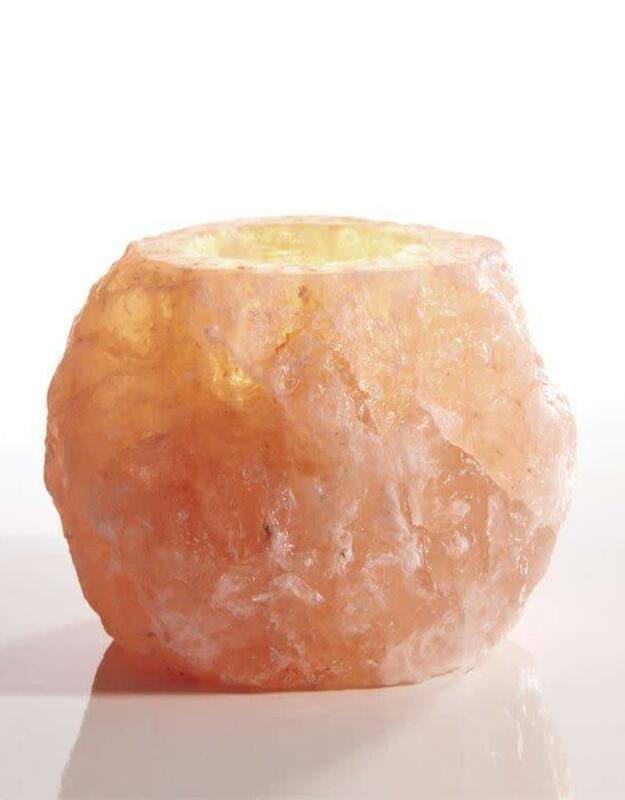 The salt then releases clean water vapors back in to the air, providing an allergen/toxin free environment as well as imparting a variety of wellness and calming benefits. Est. wght. 2.6lbs. The Candle Holder can be cleaned with a damp brush or cloth. Tealight not included.